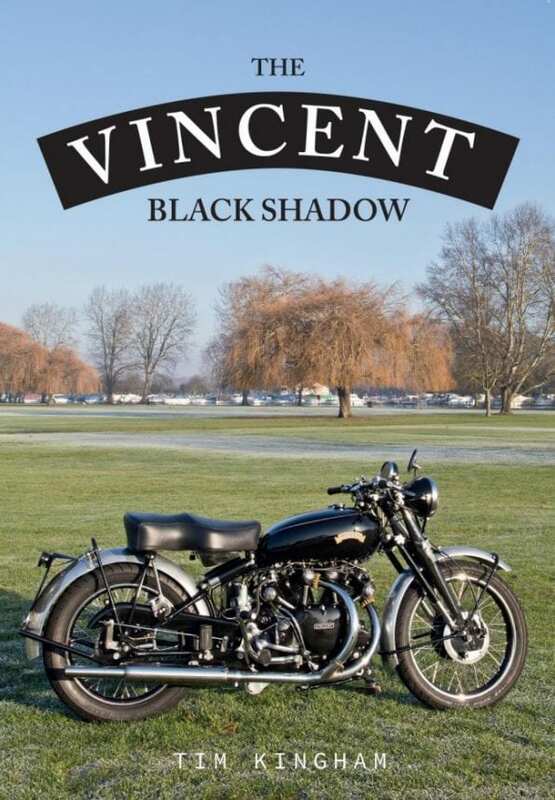 The Vincent – whatever Series or model, Rapide, Black Prince or the subject of this book, the Black Shadow – is never likely to ever occupy space in my garage. So I’m pleased that this book has a space on the bookshelf, even if the garage has the Vincent-shaped void. The bikes themselves were never ‘a people’s bike’, except for the very few, and are built with idiosyncrasies but they evoke a passion and are littered with reputation and legend. This came to life for me with the great detail and passion in author Tim Kingham’s words. 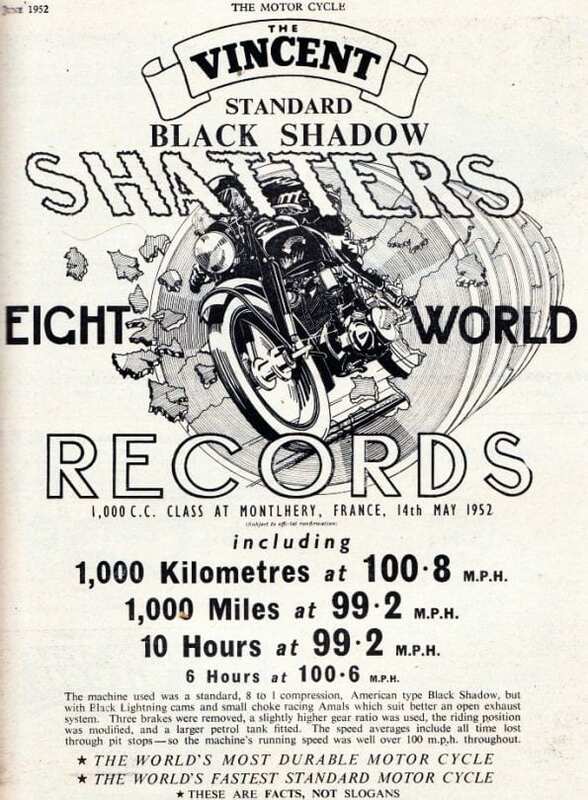 My knowledge of Vincent and the Black Shadow was previously limited and probably best summed up by these observations: stratospheric prices; 150mph speedo; gorgeous ‘engineer looks’; Comet; Ogri! 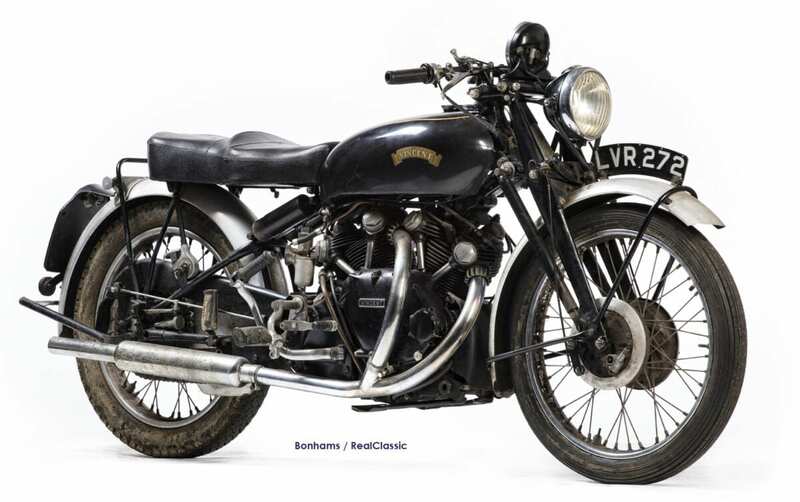 Tim’s book wonderfully brings to life the workings at Stevenage, the background to the bike and its forebears, and in reality the tiny numbers made when compared to bikes for the masses like BSA/Triumph. 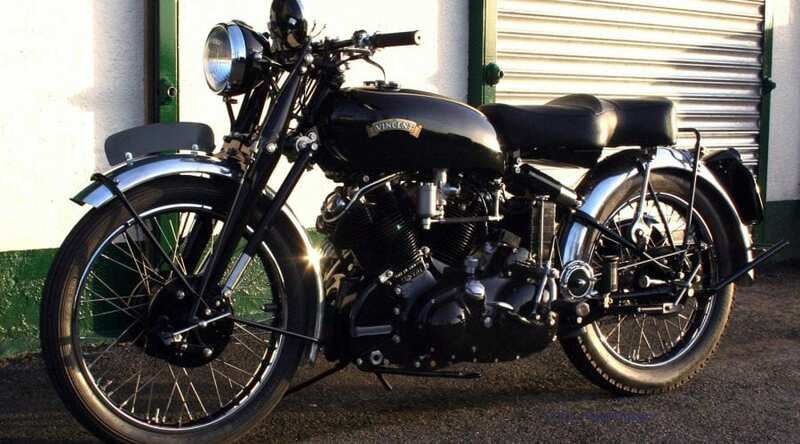 The Vincent engine and its bicycle evolved over time and Tim’s words made me realise it was made with love by a company that celebrated speed, high standards and were led by a real entrepreneur in Phillip Vincent. The book made me appreciate that the engine, a prime focus for most attention, wasn’t the only unique thing. The chassis was unconventional, too, and the whole package made for the world’s fastest motorcycle. I can see why Ogri loved it! 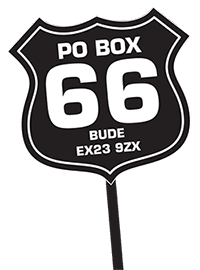 The book lovingly plots the history of the bike and its progression, in a fantastic narrative and is filled with great photos, period and otherwise, to back up the text. 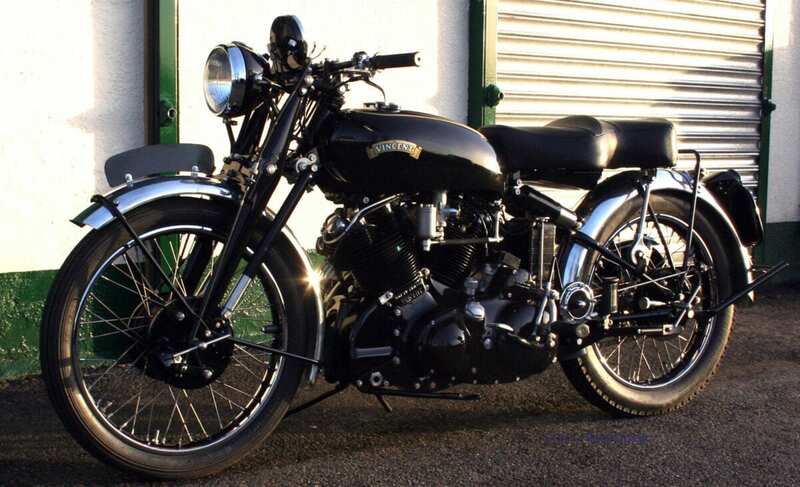 I was surprised by the details about cost analysis and the involvement of the Vincent Owners’ Club. The chapters and detail on modifications were very rewarding and covered in great and comprehensible detail. It appears to me to be very well researched with hints and tips for any prospective owner. For the lucky few who previously owned a Black Shadow, it’s a great joy to be able to reminisce. It’s unlikely I will ever amass the funds (or be allowed) to acquire such a machine, so for now I can be satisfied with this remarkable, insightful book. But if ever one does land in the garage – I will be pleased I have this to hand. What a wonderful book. A style I really enjoyed and found absorbing, with lovely illustrations: a very good read. I couldn’t put it down.